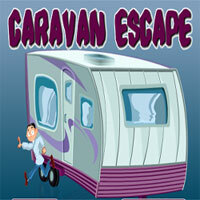 Unfortunately you have been locked up inside a caravan. You are starving inside, so somehow, find a way to get out of that place. Use the clues and items found in that place to escape.